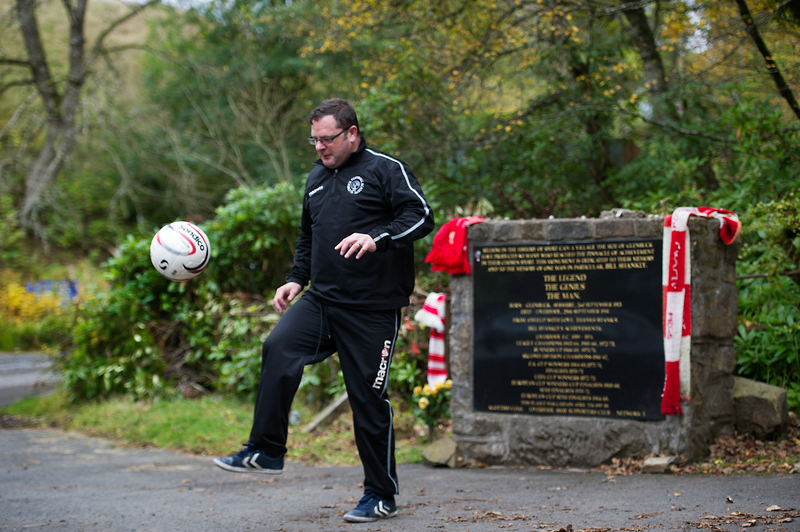 In 2016, I developed and presented The Cradle of Football, a half hour-long documentary for BBC Radio Scotland about plans to revive the remarkable footballing heritage in the long lost Ayrshire village of Glenbuck, the birthplace of Bill Shankly, the manager of Liverpool FC. Shankly was one of at least 53 professional footballers to emerge from the isolated mining community, a roll call that includes six Scotland internationals and four FA Cup winners. Nowadays, Glenbuck is a quirk on maps of Scotland. It has been depopulated for nearly half a century. Only the dwindling band of people who grew up there can retrace its past, let alone give voice to its prodigious sporting pedigree. Recorded in Ayrshire and Liverpool and featuring interviews with Bill Shankly’s family, the documentary follows Robert Gillan, a youth football coach, as he attempts to restore the pitch of the village team, the Glenbuck Cherrypickers, 85 years after their last game. It also explores how his plans tie in a wider regeneration project to turn the village site into Scotland’s first carboniferous research park thanks to the unique geological features uncovered by opencast mining. In advance of the broadcast, both the BBC and The Scotsman ran stories about this new chapter in Glenbuck’s story. The documentary was produced by Mona McAlinden at BBC Scotland. You can listen to it here on the BBC’s website, with an introduction by broadcaster, Stuart Cosgrove, or via the embedded recording below.